I am encouraging the public to recycle more than just newspapers and plastic containers after recycling something that would never fit into any blue bin – my old bicycle! I was ready to dump his old bicycle when I realised it could be recycled and receive a new home following refurbishment. 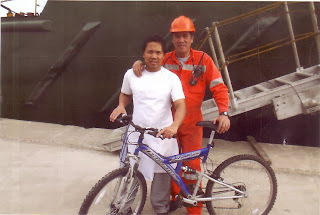 After submitting it to local cycle maintenance shop it was refurbished and is now in use by crew of Gerd container ship! 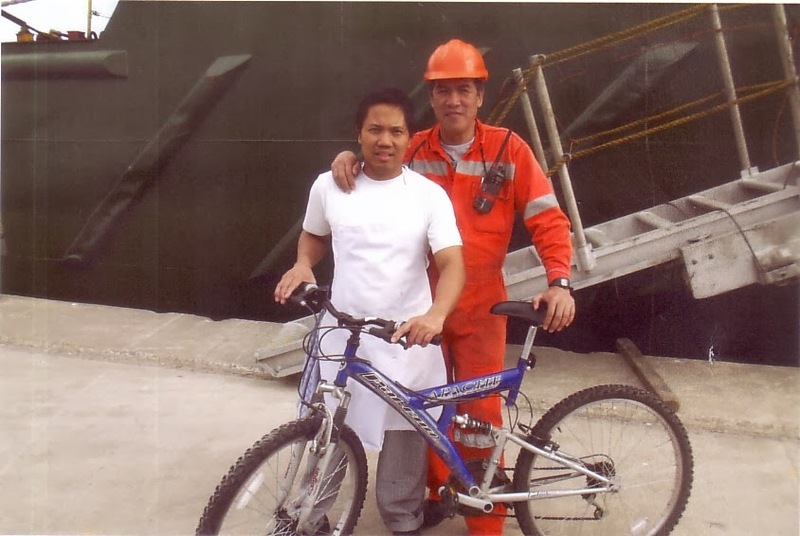 After donating the bike it was refurbished and given to Pastor Sam from Seamen’s Christian Mission who then gave it to a person on one of the many International Ships that dock in Belfast Port. I am delighted to see my old redundant bicycle recycled, refurbished and given a new home to those in need. Anyone can recycle their old bicycles easily by dropping off at Bangor or Holywood Recycling Centre’s who will then, in turn, donate to those in need in Africa following refurbishment by a local organisation. A full list of items that can be recycled, from paper to cans and cartons can be found at http://www.northdown.gov.uk/Resident/Bins/Bin-Types Please check often as the list is reguarly expanded and updated.